I will be taking a break from blogging until after the Labour Day long weekend. I’m in New Zealand at the moment. 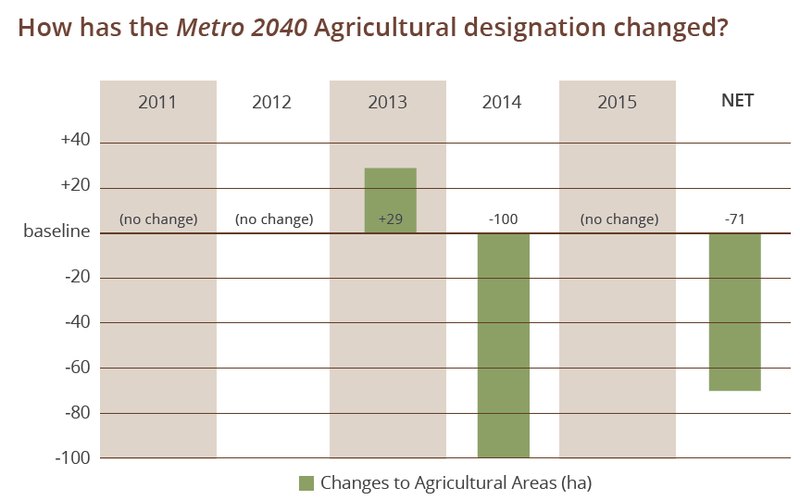 Auckland is New Zealand’s largest region, and has some of the same challenges that we have in Metro Vancouver. Providing enough affordable housing is top of mind in the region, as is the provisioning of a multi-modal transportation network. Their central government, just like our province, is obsessed with building wide freeways even if it goes against regional sustainable growth objectives. 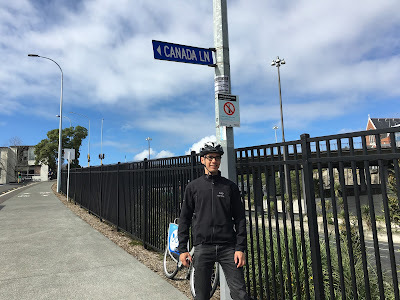 Me standing by Canada Lane in Auckland. Select image to enlarge. Over the past weekend, I had the pleasure of having a tour of Auckland and its transportation network with Darren Davis who works for Auckland Transport. 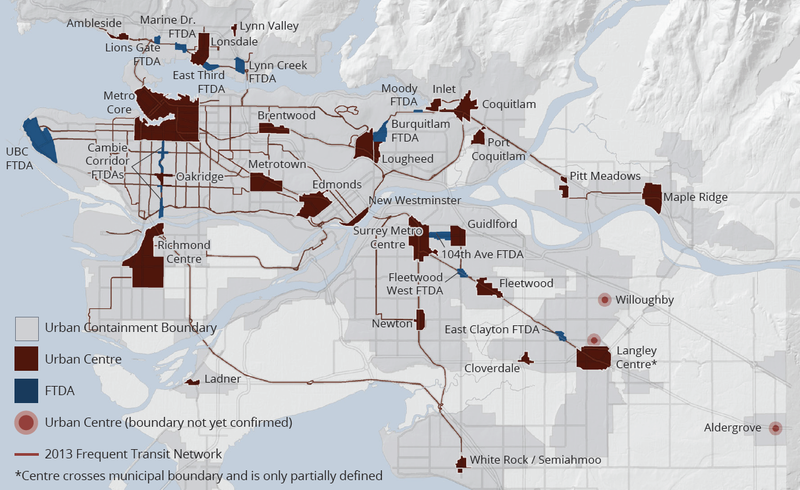 AT is like TransLink, but on steroids. Expect for state roads (which are 99.99% freeways), they are responsible for all transportation in the region from sidewalks and roads, to public transit. 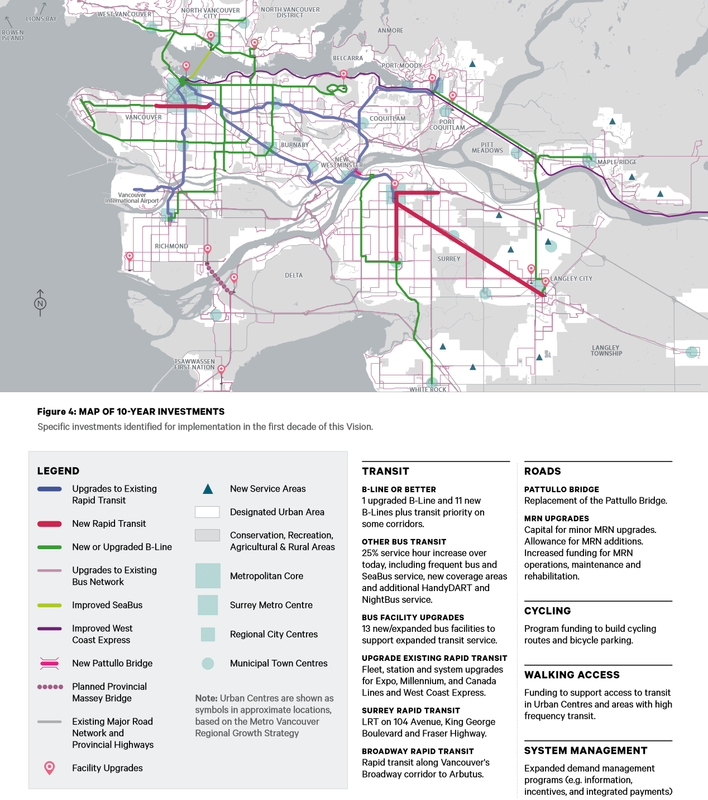 The agency is arms-length from politicians, but unlike TransLink, has the resources to actually implement a quality transportation network. 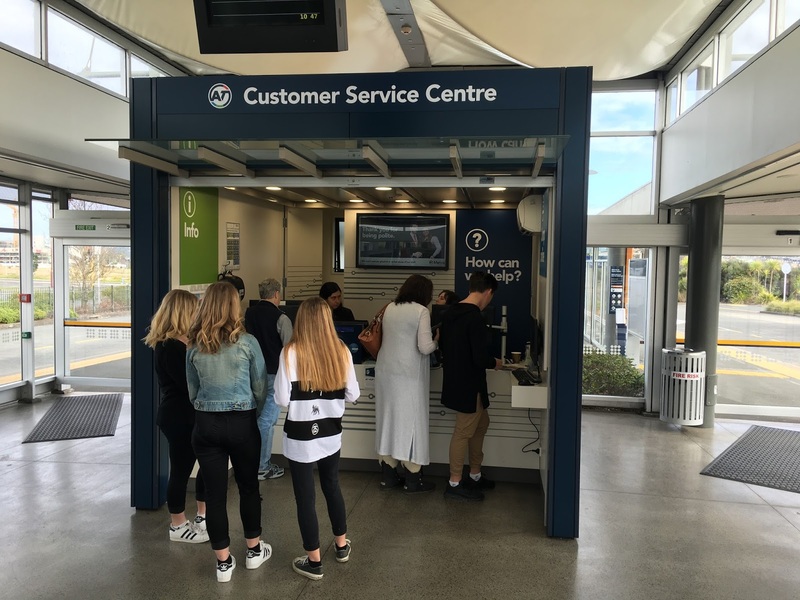 Eye and ears at a bus exchange in Auckland is key to providing high-quality customer service and a safe environment. Select image to enlarge. Over the last few years, Auckland Transport has been working hard to create a multi-modal transportation network. 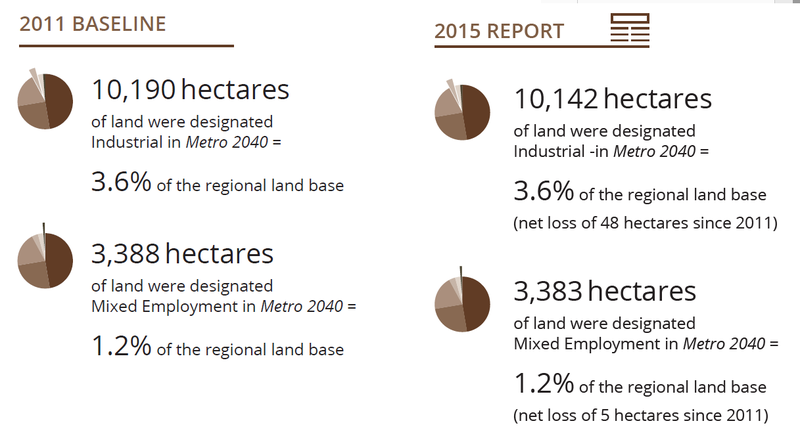 While there is much work to be done —most of Auckland’s land-use doesn’t encourage walking, cycling, or the use of public transit— Metro Vancouver and our provincial government could certainly learn a few things from the operation modal of Auckland Transport. 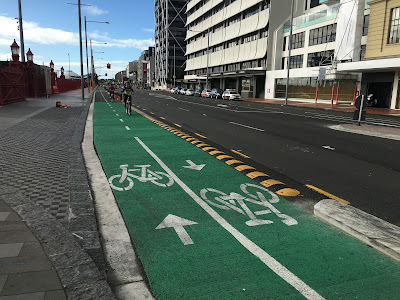 One of the things that I noticed right away was about the infrastructure in Auckland. It is in an excellent state of repair. Talking with some of the folks at Auckland Transport, I learned that maintaining infrastructure takes priority over expansion. 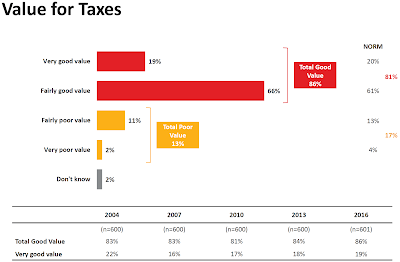 I also learn that taxation levels are set to ensure that infrastructure can be adequately maintained. High-quality, protecting cycling infrastructure is being rapidly built in Auckland. Select image to enlarge. 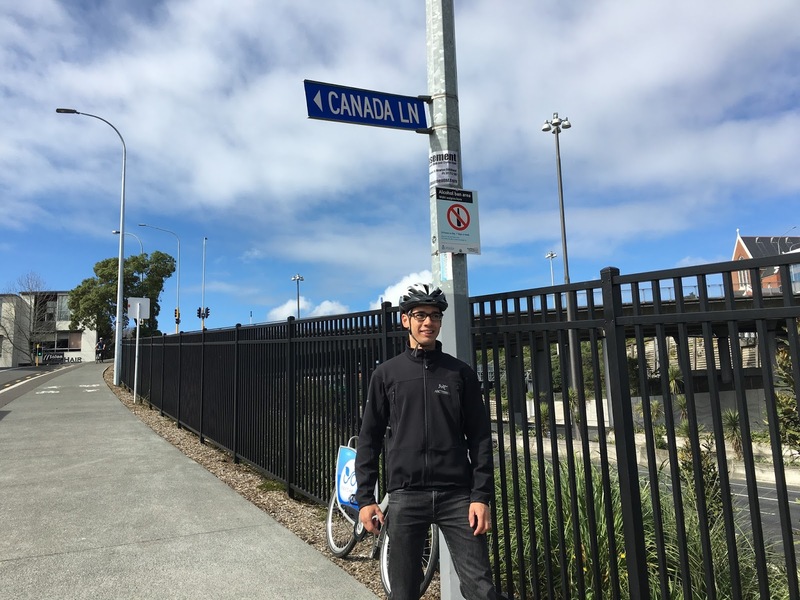 When I get back to Metro Vancouver, I will share more observations from Auckland and how it could apply in our region. 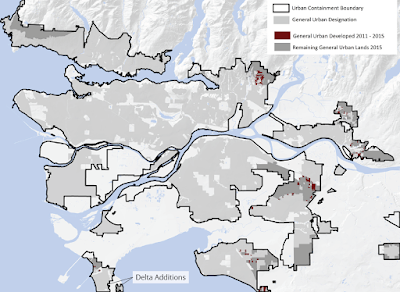 How is our region doing with the creation of affordable housing? Over the last week, I’ve been posting about Metro Vancouver’s annual progress report for our regional growth strategy. Today, I’ll be posting on goal 4 which is to develop complete communities. Goal 4 is tied closely to goal 1 which is to create a compact urban area. Developing a complete community which includes a variety of housing types, and with access to jobs, shops, services, and recreation activities within a close walk, bike ride, or transit trip; inherently supports the creation of a compact urban area. Affordable housing is one of the goals of our regional growth strategy. The focus of this goal is to build more row housing and apartments to provide housing at various price points. 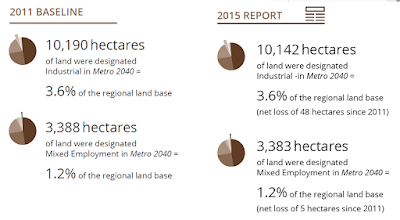 In 2011, 51% of housing in the region was ground-oriented, 40% was apartments, and 9% was row housing. 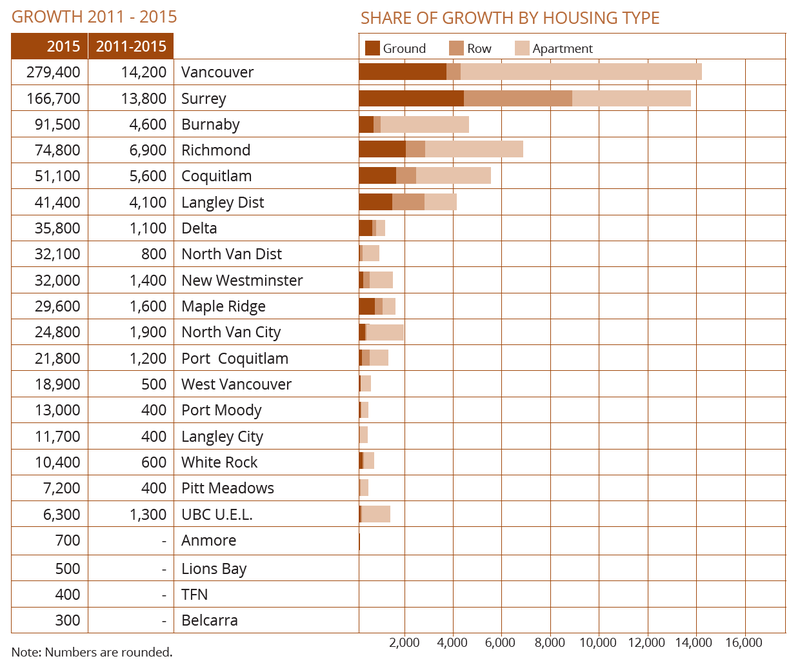 In 2015, 50% of housing was ground-oriented with 10% now being row housing. 40% remained apartments. For growing families, row housing likely provides the sweet spot of space, affordability, and support for ensuring accessible communities. 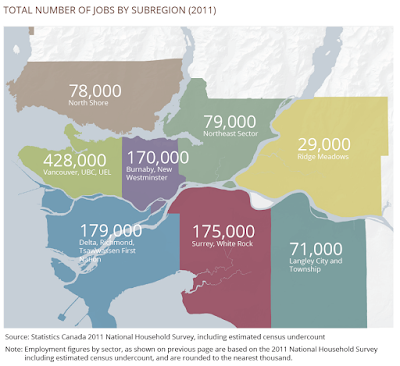 Surrey is currently the row house building leader in the region. 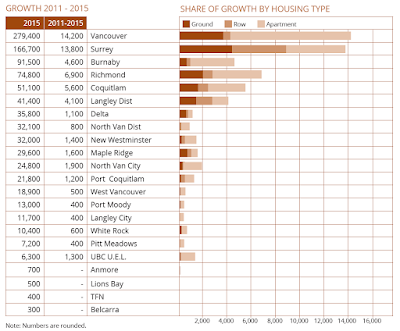 Share of growth by housing type between 2011 and 2015 in Metro Vancouver. 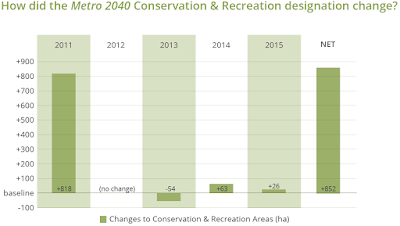 Select graph to enlarge. Increasing the social housing and rental housing supply is also a key strategy for our region which is extremely important considering our low rental vacancy rate. 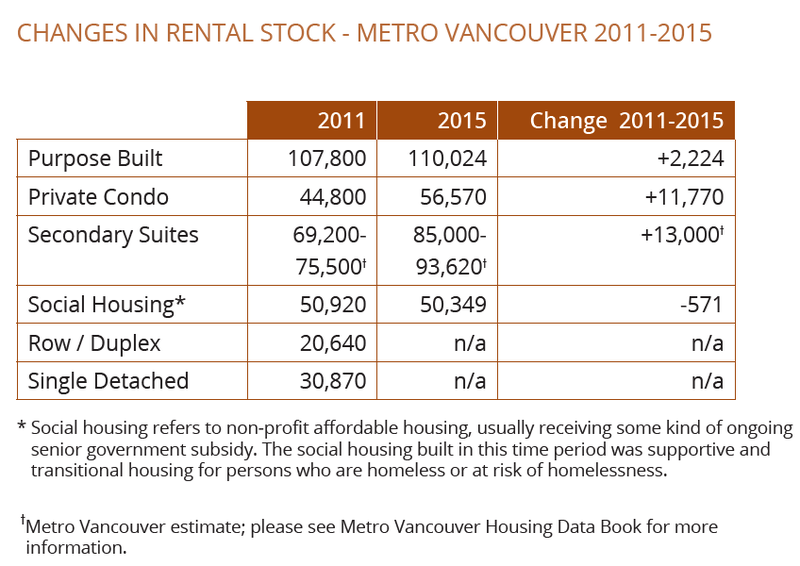 Unfortunately, the number of social housing units is on the decline in our region, and the number of purpose-build rental units has been growing at a slow rate. 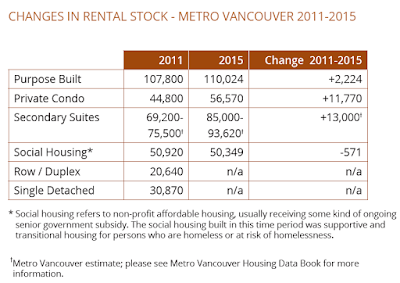 Change in rental stock between 2011 and 2015 in Metro Vancouver. Select table to enlarge. Homeless supportive and transitional housing units have increased by 38% which is encouraging. In Langley, these units have increased from 45 in 2011 to 69 in 2016. 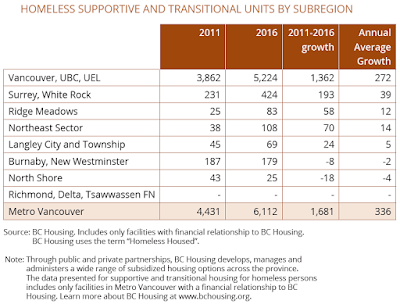 Change in the number of homeless supportive and transitional units by sub-region between 2011 and 2016 in Metro Vancouver. Select table to enlarge. 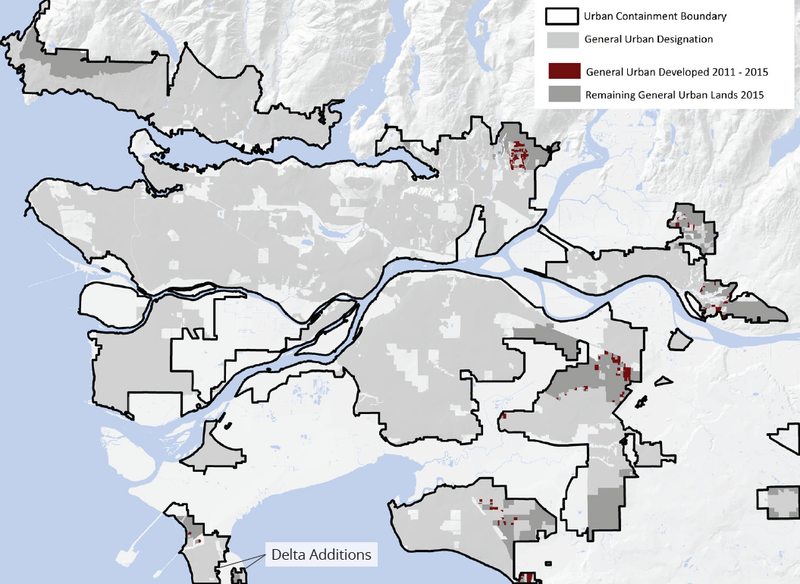 While the region’s goal is to create a healthy mix of housing types, it is really up to municipalities in the region to make it happen. 13 municipalities in the region now have housing action plans including all South of Fraser municipalities. 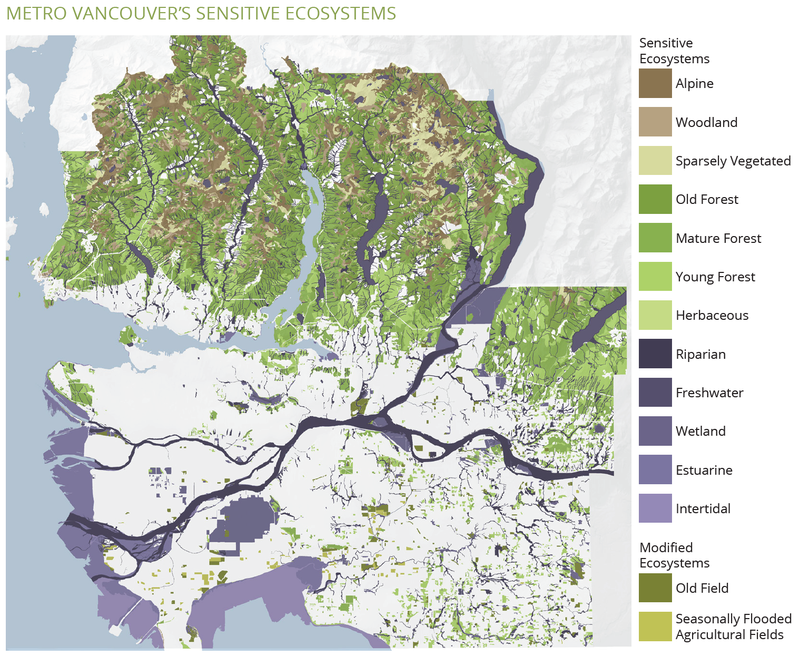 Last week, I posted about information I found in the environmental assessment for the proposed George Massey Tunnel replacement bridge. This information showed that traffic through the tunnel has been declining over the last decade, and that with the proposed toll for the new bridge, traffic volume across the new bridge will drop to levels not seen since the 1980s. This brings into question why the currently priced $3.5 billion dollar crossing is even needed. While traffic levels will plummet at the George Massey Bridge, what I didn’t post about last week was the impact it will have on other crossings. Two-way Annual Average and Daily Traffic Volumes on river crossings impacted by the Massey Bridge Project. Select table to enlarge. Source: George Massey Tunnel Replacement Project. Because a tolled George Massey Bridge will cause a massive drop in traffic, it will also result in a drop in traffic across other bridges along the Highway 99 corridor. The exception being the Alex Fraser Bridge which will have an additional 20,000 vehicle on it due to the George Massey Tunnel replacement bridge. CTV found out about this information, and did a story on it which you can see by selecting the picture below. It’s no surprise that traffic volume will increase across the Alex Fraser Bridge as tolling does eliminates many trips, but some trips will shift over. The same thing happened with the Port Mann Bridge with some people choosing to use the toll-free Pattullo Bridge. There are two things that are true when it comes to highways in growing regions: you can’t build your way out of congestion, and road pricing/tolling reduces congestion. Instead of building a costly 10-lane mega-bridge, the province and region should agree on a short-term fare tolling policy, and long-term overall road pricing plan that would apply to all major congested corridors in the region. Road pricing and tolling will reduce congestion, but only if applied equitably. 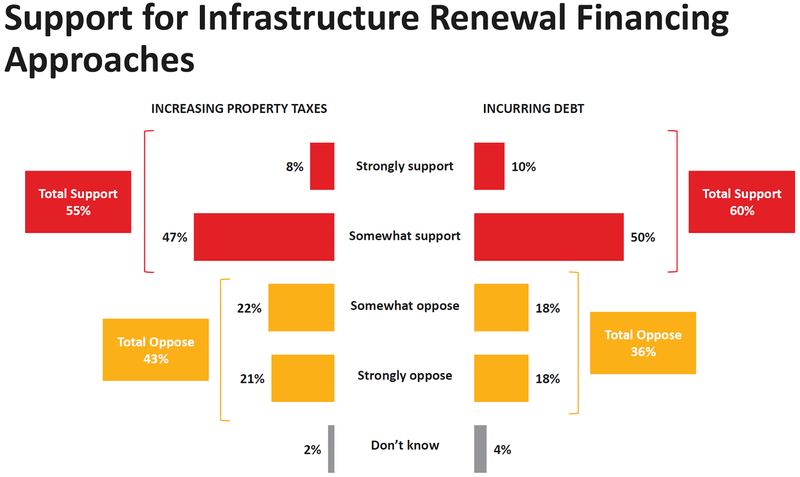 The money recovered could be used to ensure that our current road network is in a state of good repair, to invest in much need transit service, and/or to lower the gas tax. Every three year, the City of Langley commissions a community survey as a way to take a pulse of what people that call Langley home feel about their community. The survey is weighted to match the demographics of Langley, but it does rely on interviewing people with landline phones exclusively. This means that some demographics may not be fully represented in the survey. 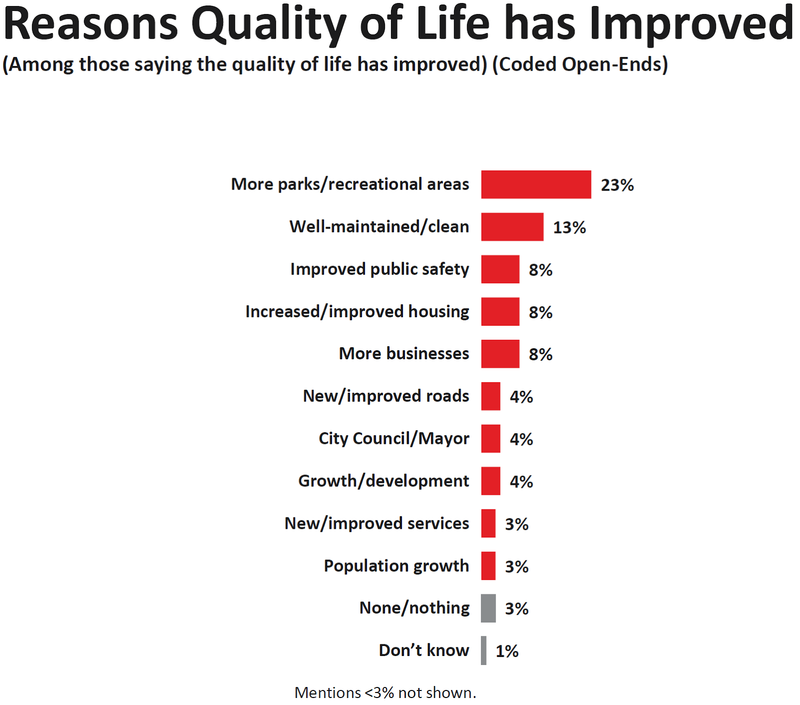 Nonetheless, the survey’s results provide valuable insight into what people think about Langley City. Over the next little while, I’ll be sharing some of the results of the survey. Overall, people are satisfied with their quality of life in Langley City though around 28% said that their quality of life has worsened over the last three years. 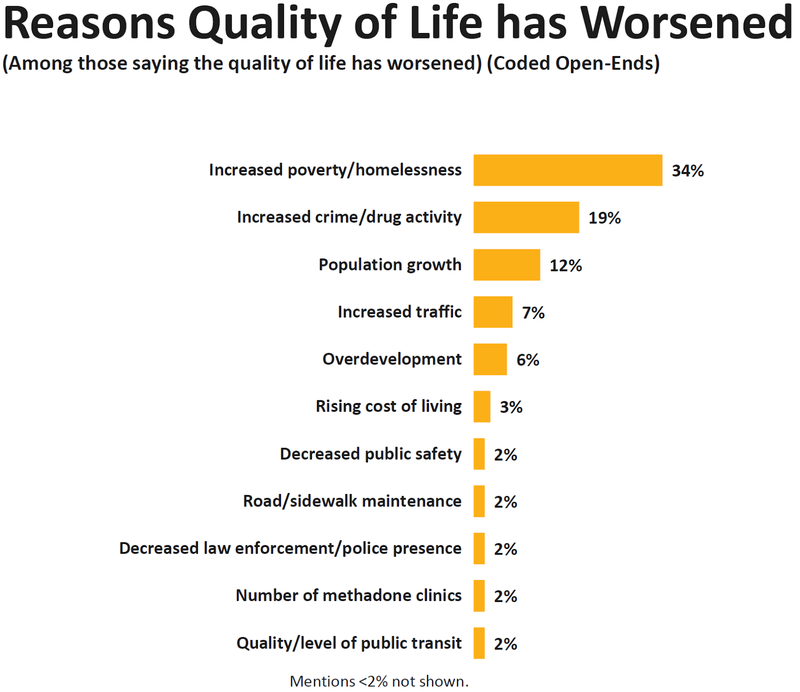 People's views that quality of life has worsened in Langley City has been trending down over the last decade. 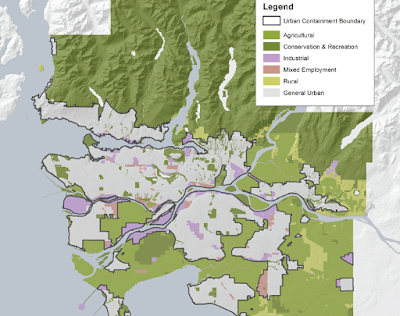 Overall quality of life of residents in the City of Langley. Select chart to enlarge. 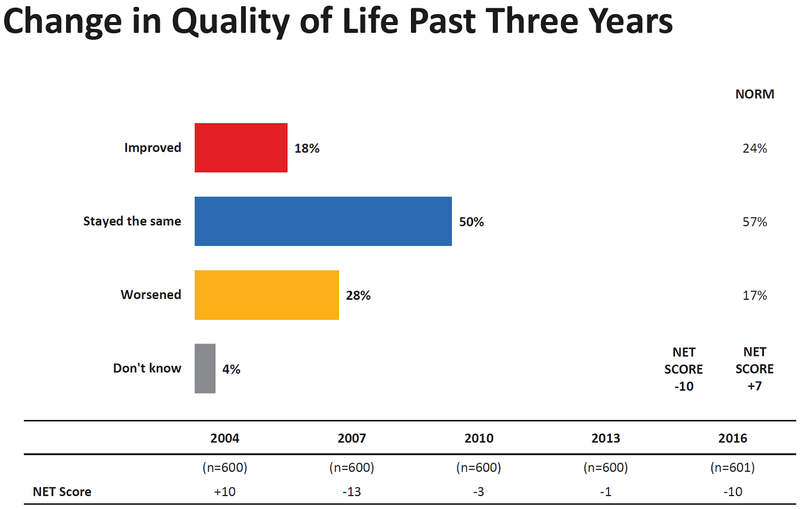 Changes in the quality of life over the past three year. 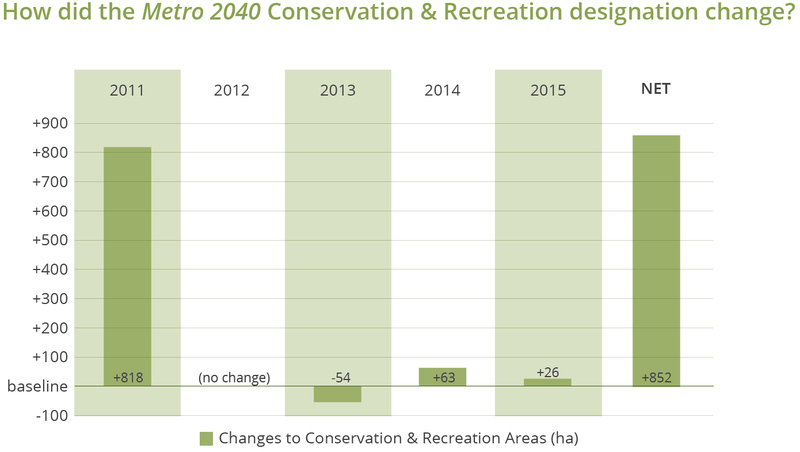 Select chart to enlarge. 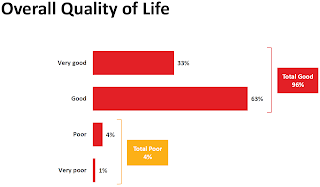 The follow charts shows why people think that quality of life has improved, and why quality of life has worsened. 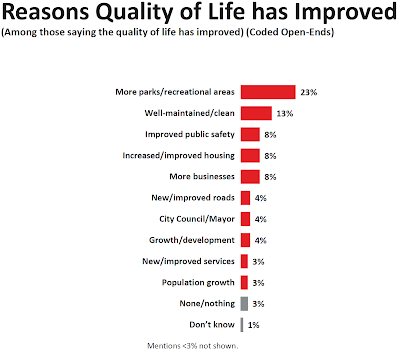 Reasons why quality of life has improved. Select chart to enlarge. 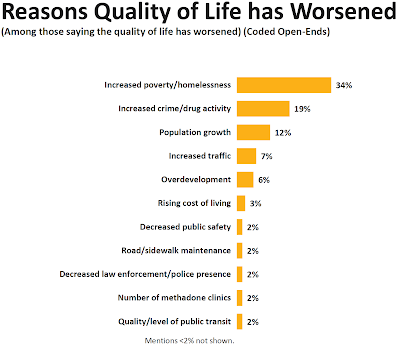 Reasons why quality of life has worsened. Select chart to enlarge. One of the promises I made during the election campaign was to work towards improving our parks and streets including keeping them in a state of good repair and enhancing safety. I also stated that we need to move forward with our action plan to reduce homelessness. While these things won’t happen overnight, they must be addressed. 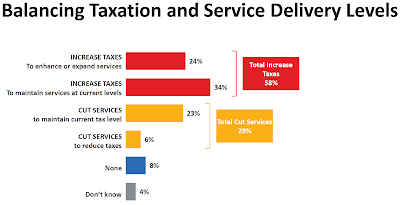 People have been consistently satisfied with the services that the City of Langley provides. 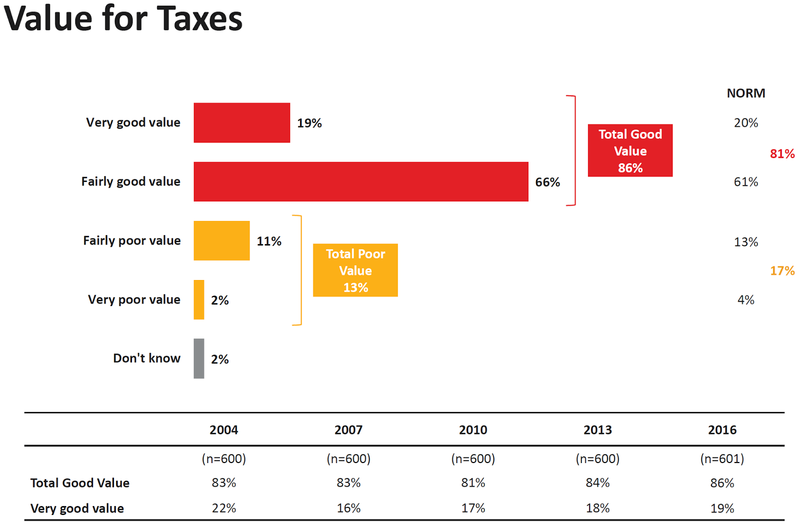 The one exception is road conditions which has tracked down 9% over the last 12 years. 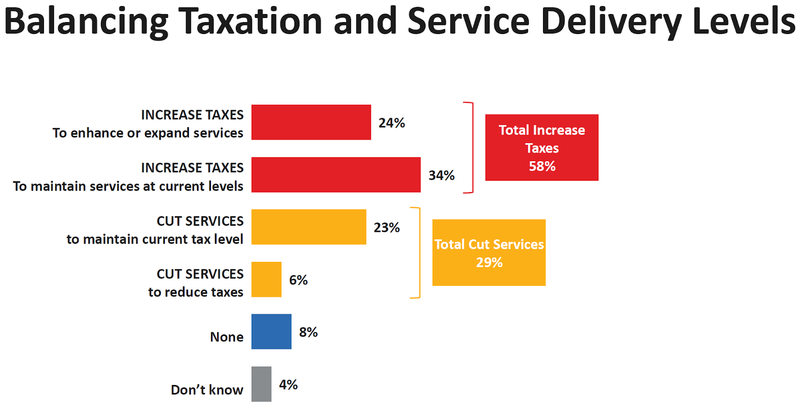 Satisfaction with City of Langley services over the last 12 years. Select chart to enlarge. 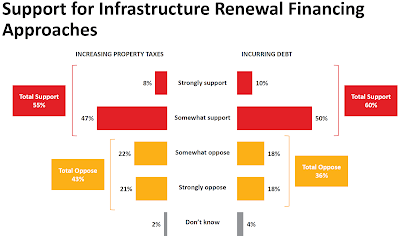 As a community we will need to invest more to ensure that our core infrastructure remains in a state of good repair, while improving active transportation infrastructure and implementing traffic calming. Next week, I’ll post more about the results of the community survey. ”Because congestion” is a reason that the provincial government loves using when it needs a justification to build massive bridges and large roads in Metro Vancouver. Tolls are used to offset some of the costs of building these projects. Tolls also bust congestion. As can be seen on the Port Mann Bridge, there is less traffic on the bridge today than went across the old bridge in the past. There has only been a jump in traffic over the Port Mann this May and June likely due to the Pattullo Bridge being virtually closed due to rehabilitation. The environmental assessment for the proposed George Massey Tunnel replacement bridge is currently in progress. 145 pages of the material submitted by the province for the environmental assessment deals with traffic. 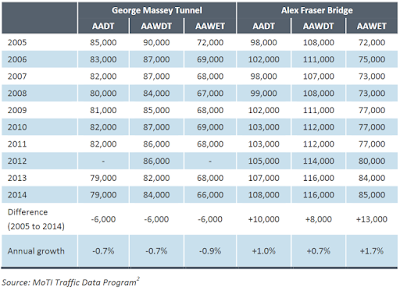 Average traffic volumes across the George Massey Tunnel and Alex Fraser Bridge since 2005. Select table to enlarge. 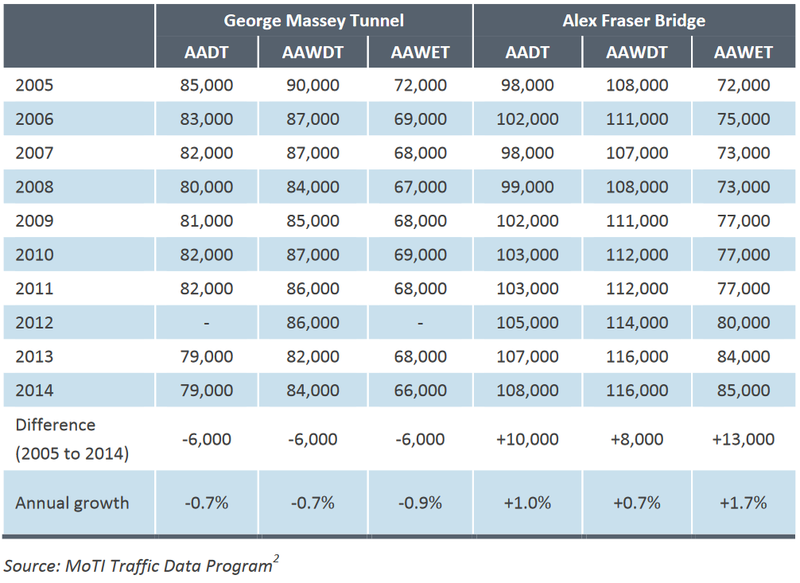 Traffic volume through the Massey Tunnel has been declining over the last decade. 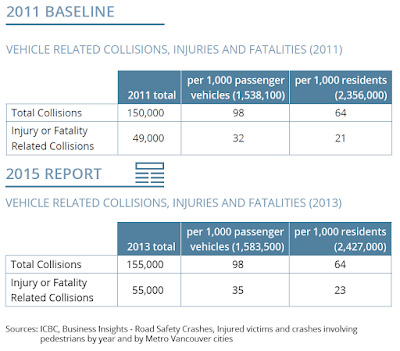 There was less traffic going through the Massey Tunnel in 2014 on average than in 2003. 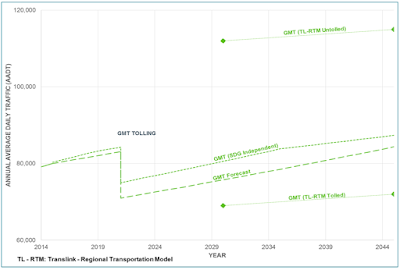 The Ministry of Transportation’s “independent” traffic model shows that a tolled crossing would drop traffic to a level not seen since the 1980s. 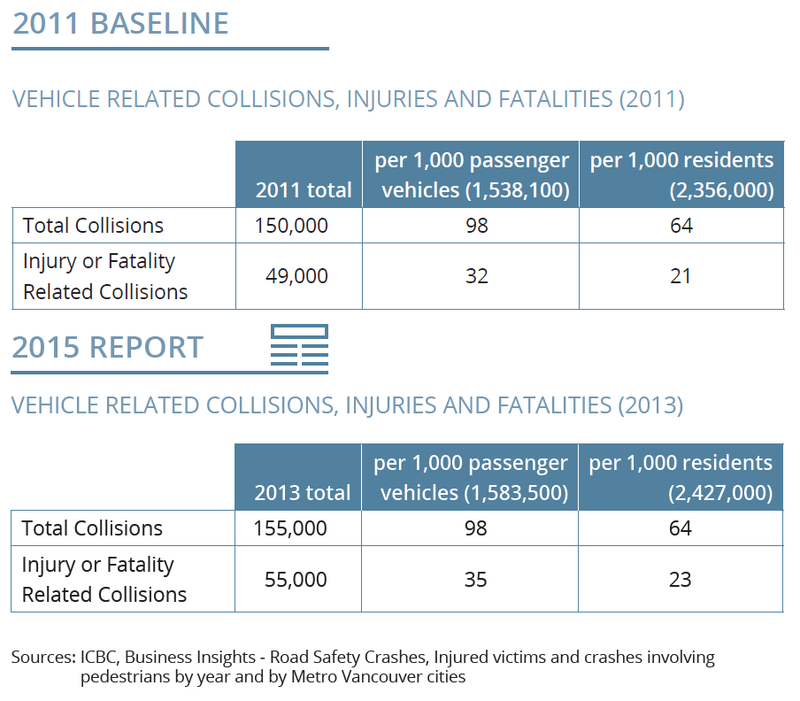 TransLink numbers show an even stepper decline in traffic. Traffic forecasts. 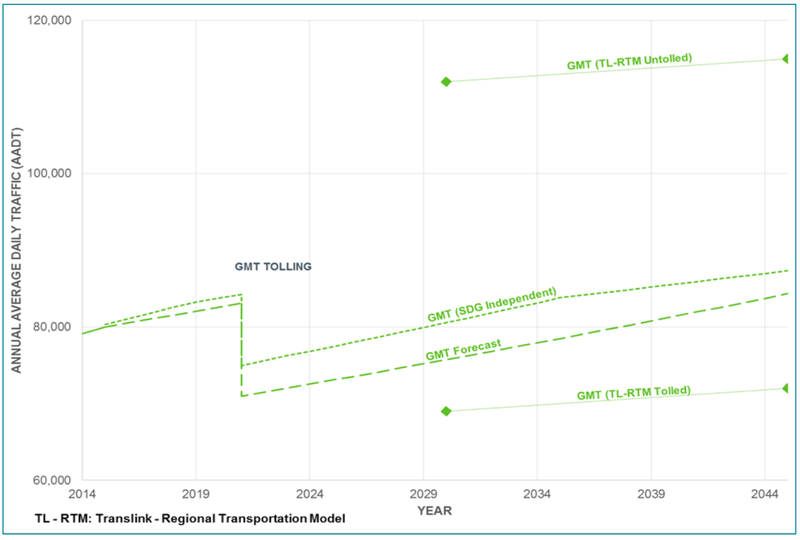 TransLink's tolled traffic forecast: TL-RTM Tolled. Independent traffic forecast: SDG Independent. Select chart to enlarge. 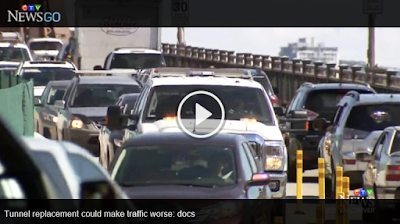 The Alex Fraser Bridge has seen an increase in traffic. If the provincial government was serious about reducing congestion, it would toll all river crossings to reduce congestion, using the revenue to invent in keeping the current road network in a state of good repair, and investing the remainder into transit and the regional transportation vision. 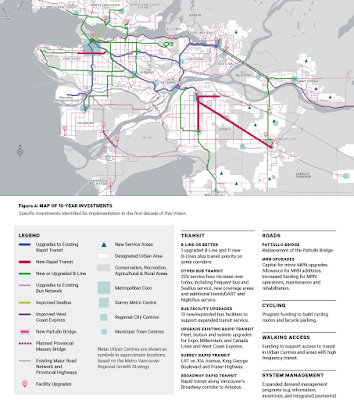 If the province invested the money it spent on the Port Mann Bridge and soon-to-be George Massey Bridge instead on the regional transportation vision, we would have world-leading bus service and rail rapid transit along Broadway, King George, 104th Avenue, and Fraser Highway to Langley today.